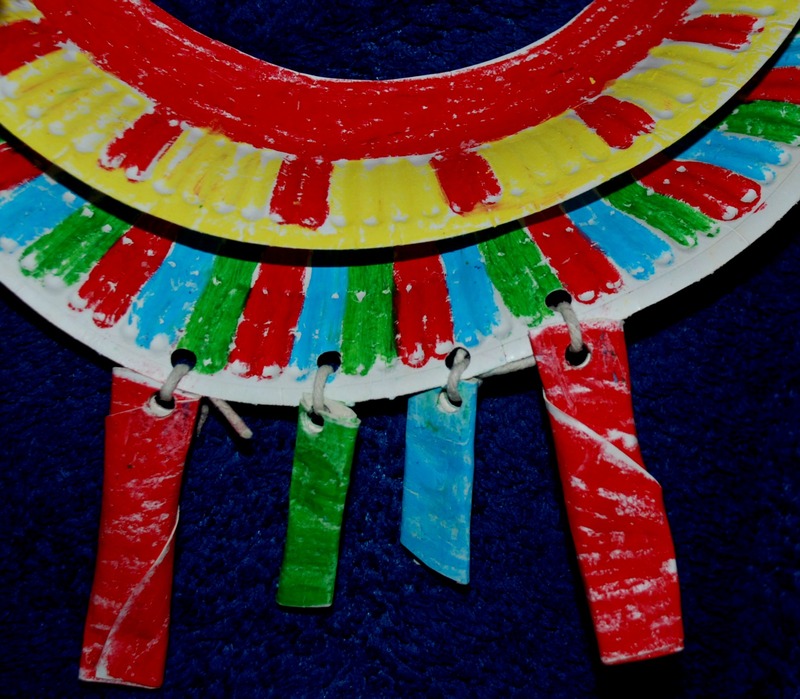 We have been doing quite a bit about Africa at the moment and one of images that has sparked my daughters interest is that of some of the equisite necklaces and jewellery. 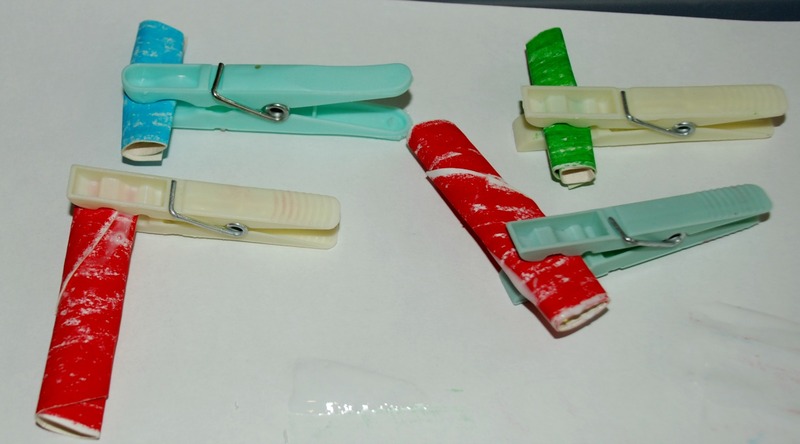 They are so bright and colourful so naturally we had to have our own go at making some. Unfortunately most of our art supplies are out of reach at the moment (our floor saga continues) so we had to be extra creative with what we had. We started off with some paper plates. 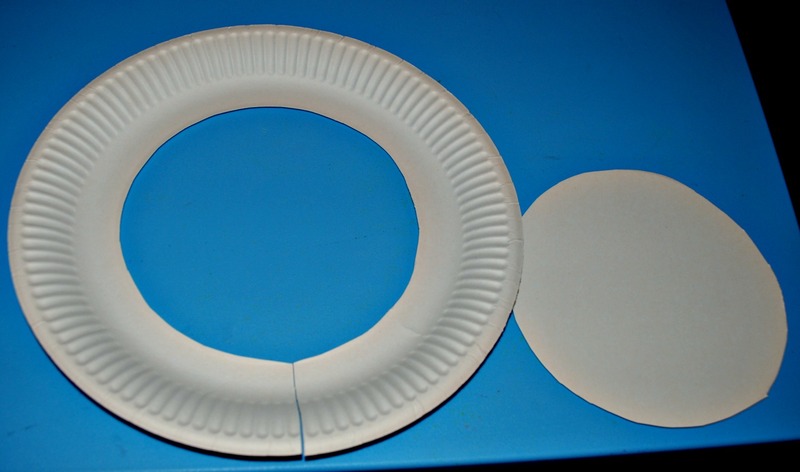 We cut out the center circle of the paper plate. Try and cut it so that you can re-use the center bit. 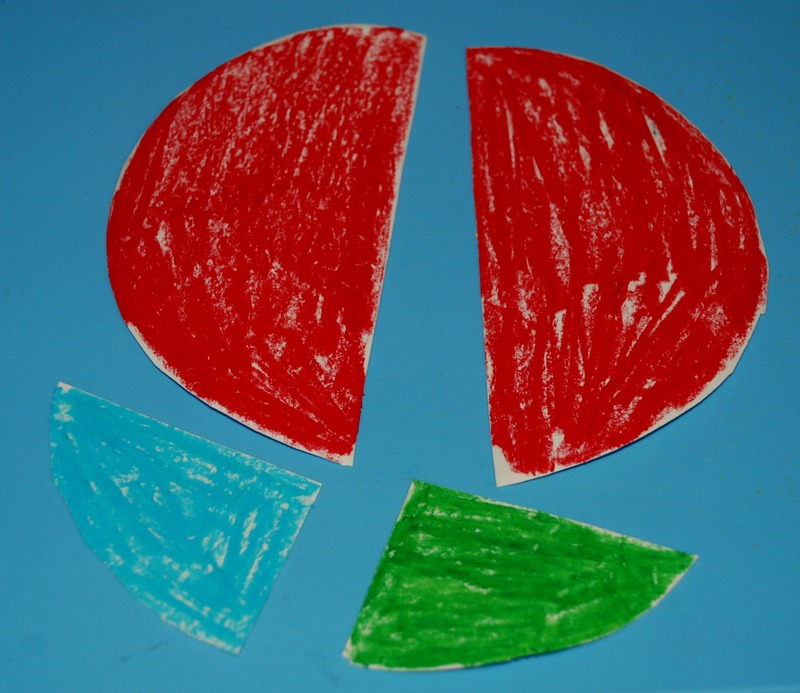 We started off by colouring in the paper plate and the inner circle as well. We used a combination of our oil pastels and some water-colour pencils for this but paint would also be great. 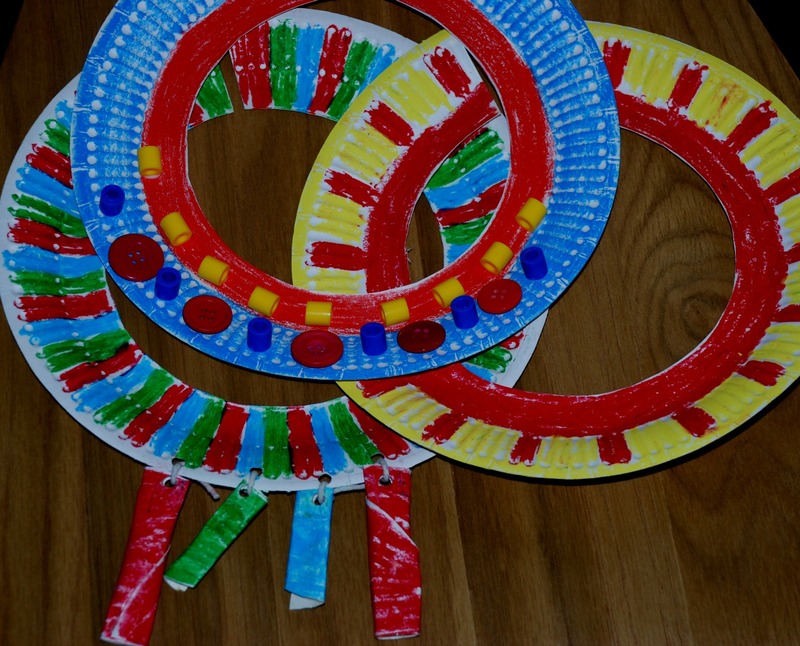 We cut the inner circle into smaller shapes and and rolled them and glued them (we used some clothes pegs just to allow the glue to set nicely). 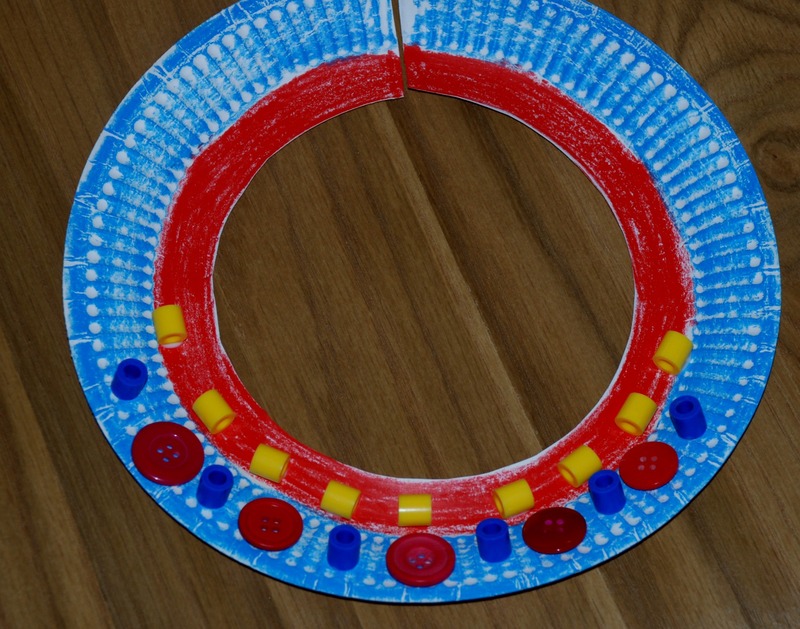 On another one of the necklaces we glued some buttons and beads. 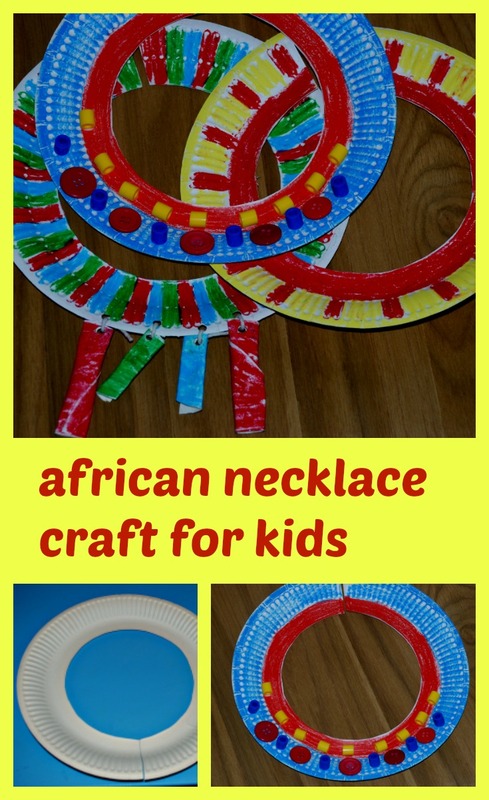 This entry was posted in Art and Craft Ideas and tagged africa, african art for kids, african necklace, art, children's craft, home ed, homeschooling. Bookmark the permalink. We have made these before but these look much more exciting I never thought to stick extra bits on. 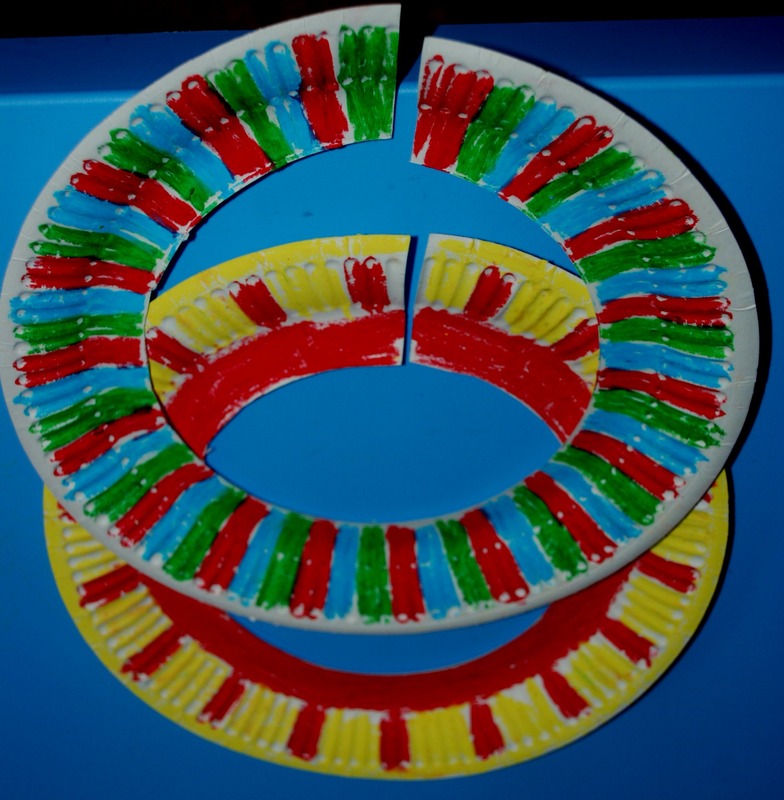 And I love the idea of using the inside of the plate to make dangly beads. Great idea! 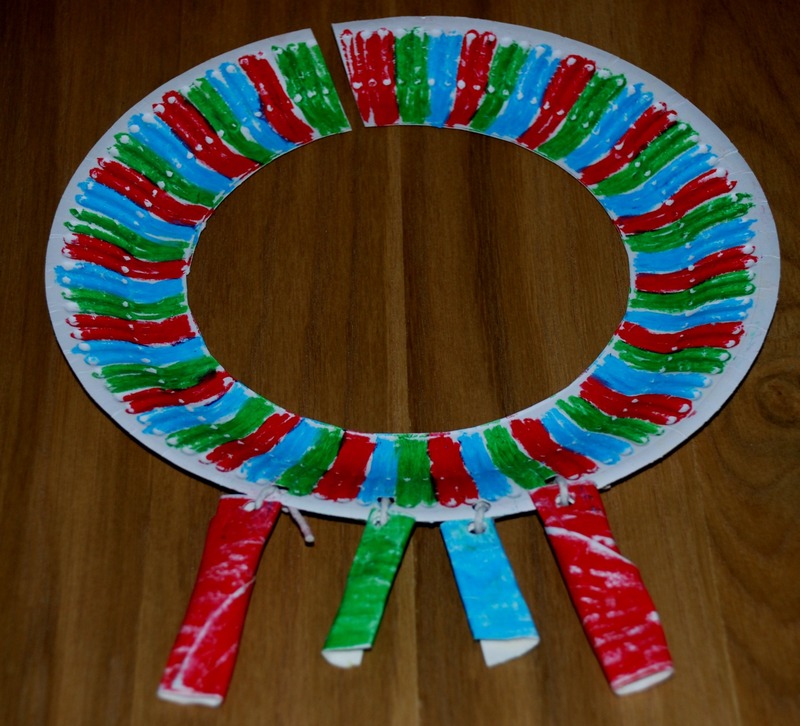 love this idea, fun and easy craft to learn about other cultures. These look really nice and what good way to teach children about other cultures too.